Noa is 29 years old and lives in Petah Tikva. She is married and a new mom to 7 months old son, Ron. 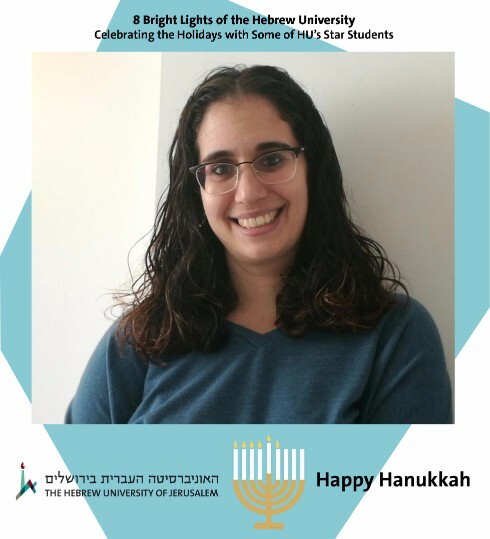 Noa has studied at the Hebrew University for the past 7 years and has a bachelor’s and master’s degree in linguistics. She is a Presidential Scholar in the Humanities at the Mandel School for Advanced Studies in the Humanities. My Yemenite grandmother makes the best sufganiyot ever. Anyone who ever tasted them will testify that they are the best. She always insists on never making them before the first candle, so the whole family gathers from all across the country and waits for them. My son being born. He is a miracle.